Members of the public discovered a body in a Sussex river drainage ditch at 4.40pm on Sunday (October 4). The unidentified body was found in the River Adur, just off the A283 near Bramber. Police have said the identity of the body is not likely to be made public for at least a couple of days. 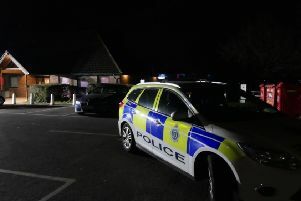 Speaking on Monday, a spokesman for Sussex Police said: “Police have been at the scene and preparations are being made to recover the body safely for examination. “The body appears to be that of an adult and to have been there for some time.